Home » Film » Cooper Andrews Gives Some Details on His Character in Shazam! We only have one trailer to go on, but people are already pretty excited for Shazam!. However, since we only have the one trailer we don’t know that much about the supporting players in the movie just yet. 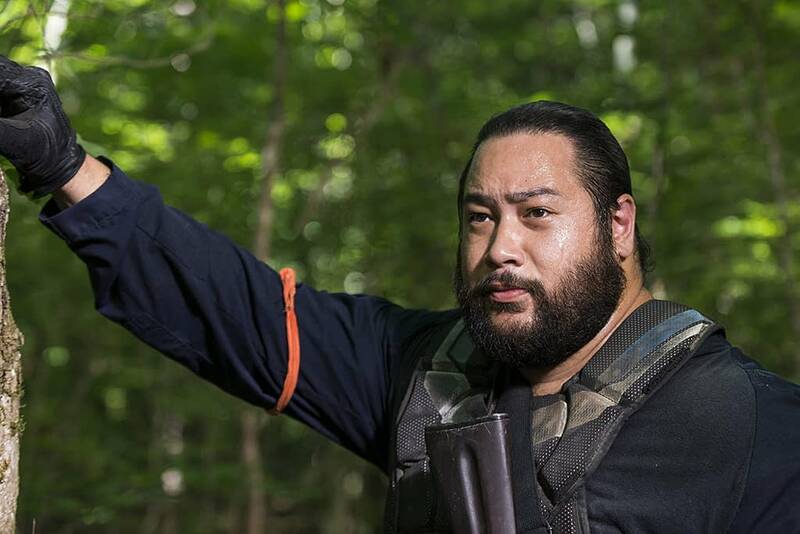 Cooper Andrews, who plays Jerry on The Walking Dead, spoke to ComicBookMovie, and they asked him about playing Billy Batson’s foster father in the upcoming superhero movie. I can say that he’s such a fun character to play. I always play some version of a happy guy but this is a fatherly version. This movie was so well-written and is one of the best scripts I’ve read…and I’ve read a few! This one was just so impressive and I feel like it connects in an actual, genuine way and I really think people are going to see why and I think they’ll become attached the same way I did. As far as my character goes, I’m excited. He tells the dad jokes…he’s just this good-natured guy that’s not trying to impose anything on anybody. With these kids, these foster kids, there’s a fine line that he has to walk to guide them and it’s going to be cool. Andrews was asked about the trailer that was debut at Comic-Con, and while the trailer is indeed awesome, he said that it doesn’t show the best stuff in the movie. That trailer was amazing but honestly, it was one of those trailers where I can tell you right now, that wasn’t the best stuff! It shows just how good the movie is and I really think every scene was great and I think they can make a thousand trailers and I’d be happy to see them repeat the same scenes but this is going to be a lot of fun. It’s a family movie and it’s going to be really good. Now we can just hope that DC and Warner Bros. can get through the Shazam! marketing campaign without giving away all of the best parts. It sounds like Andrews is very confident in the superhero movie, which will be a big departure from all of the other movies we’ve seen from the DC universe thus far.